Many factors affect the quality of sleep, with sleeping positions, mattresses and bedding also having an impact on how well one feels in the morning. President of The Chiropractic Association (Singapore) Valerie Teo says the recommended sleeping position is on one's side, with half the shoulder blade on the bed while hugging a bolster between the legs. "Sleeping on the tip of the shoulder can put a lot of pressure on the shoulder and neck. Hugging a bolster can help to lessen the pressure on the hips too," says Dr Teo, who currently practises at Elder Chiropractic Clinic in Bencoolen Street. Many of her clients have also complained that they cannot sleep well as their mattresses were either too soft or too hard. Vice-president of The Chiropractic Association Tamara Wong, who works out of Tamara Wong Chiropractic in Grange Road, advises picking a mattress that keeps the spine aligned and supports the spinal curvatures. She says: "It must be firm enough to provide support yet supple enough to mould to your body shape without creating pressure points." But both chiropractors say recommending a good mattress is difficult as individual preferences and needs can vary. To cater to different needs, mattress retailers have introduced new technologies. For example, some recommend customised mattresses. Australian brand King Living's range allows consumers to pick from three mattress bases. It offers four comfort layers made of materials such as memory foam and latex, and of different firmness. Consumers can also choose from three different fitted covers - with cooling technology, an electric blanket or air-circulating properties. There are brands that also carry bed accessories for people who sleep on their tummies, though the position is not advisable as it puts stress on the back and hips. 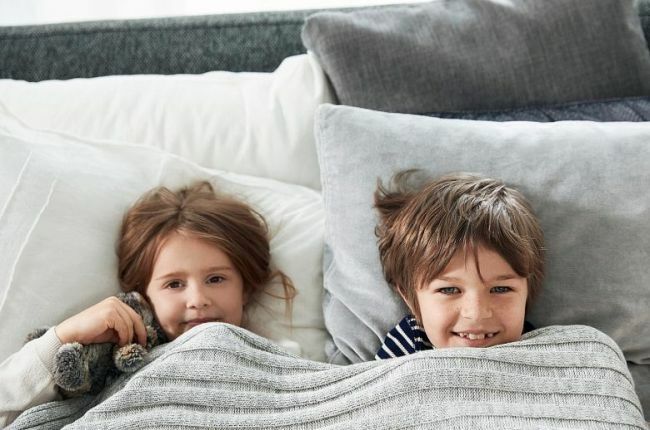 American brand Tempur, for instance, offers the butterfly-shaped Ombracio pillow, whose patented design allows sleepers to rest their head and chest on the pillow and hug it from notches created in the side of the pillow. Another American brand, Simmons, also has a BackCare series with which features negative-ion fibres said to be good for health and far-infrared rays that boost blood circulation and metabolism. The same series also has mattresses with taller pocket coils, providing more support for sleepers. Despite the many options available, mattress retailers say Singaporeans have their preferences. Unlike people in Europe and the United States who prefer softer mattresses, consumers here prefer firmer models because support for their bodies matter the most to them. 1 Sleep and wake at the same time every day, even on weekends, to cultivate a healthy sleep pattern. 2 Try not to use electronic devices at night, such as phones, which are too stimulating and disrupt sleep. 3 Use dimmer lights at night as bright white fluorescent lights can make the body think it is day time. 4 Avoid alcohol close to bedtime. While a nightcap can make it easier to fall asleep, the process of metabolising alcohol can be disruptive during sleep. 5 Avoid heavy meals near bedtime as this can cause discomfort such as heartburn. If you are hungry after dinner, go for something light like warm milk or fruit. 6 Avoid caffeinated drinks such as coffee or tea, as well as energy drinks and soda after lunchtime. 7 Those with sleep apnoea can try sleeping on their side, so that the tongue will not fall backwards and obstruct the airway. 8 Create a bedtime routine. Wind down with some calming activities, such as taking a bath, listening to music or meditating, to prepare your mind for sleep. 9 Exercising regularly increases blood circulation and the time spent in deep sleep. Avoid exercising near bedtime as it releases endorphins which can keep you awake. 10 Avoid long naps or naps late in the day.